2017 is shaping up to be another uncertain year for the apparel industry and its supply chain, according to feedback from a panel of executives consulted by just-style. Several recurring themes cropped up in just-style’s roundup of sourcing and supply chain issues likely to impact apparel and footwear firms in 2017. The reports, which ran across four articles and more than 11,000 words, combined the views of a panel of industry executives. Here we condense their words of wisdom. In the final part of our Outlook 2017 report we asked industry executives what keeps them awake at night – and other issues the apparel sector should be keeping a close eye on in the year ahead. Not surprisingly, the future of trade policy and free trade agreements – and the risk of trade war breaking out – were top of the list, along with finding opportunities to achieve growth, health and safety, and preparing for the unexpected. What should apparel firms be doing now if they want to remain competitive into the future? 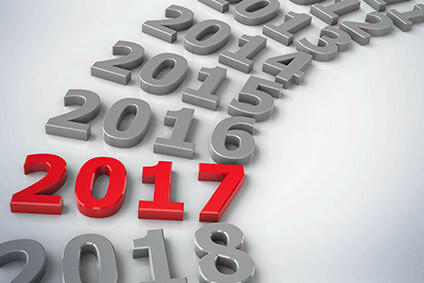 Diversified supply chains, new technologies in both sourcing and product development, and a focus on speed, productivity and innovation are among the strategies that will help to separate the winners from the losers in 2017 and beyond. How is the sourcing landscape likely to shift in 2017, and what strategies can help apparel firms and their suppliers to stay ahead? As global politics become more turbulent, moving things closer to home or out of the eye of the storm makes sense, executives say. A balanced and diversified sourcing portfolio is key, with a digitised supply chain also helping to speed decision-making. 2017 is shaping up to be another uncertain year for the apparel industry and its supply chain, according to first feedback from a panel of executives consulted by just-style. Prospects for volatile and uneven growth, Trump’s trade policies, and tensions between the US and China are seen as the biggest challenges – as well as presenting opportunities for retailers and brands to rethink their business models.